Have your romantic getaways in Florida with your lover! Stoll along the seashore on your Florida honeymoon or work on your tan at one of the many beaches! There are just so many romantic honeymoon spots in Florida to choose from. You’ll find something for everyone here, whether you’re into boat trips, beautiful beaches or green gator everglades. It’s no wonder this beautiful sunshine state is one of the most popular honeymoon destinations in Florida. 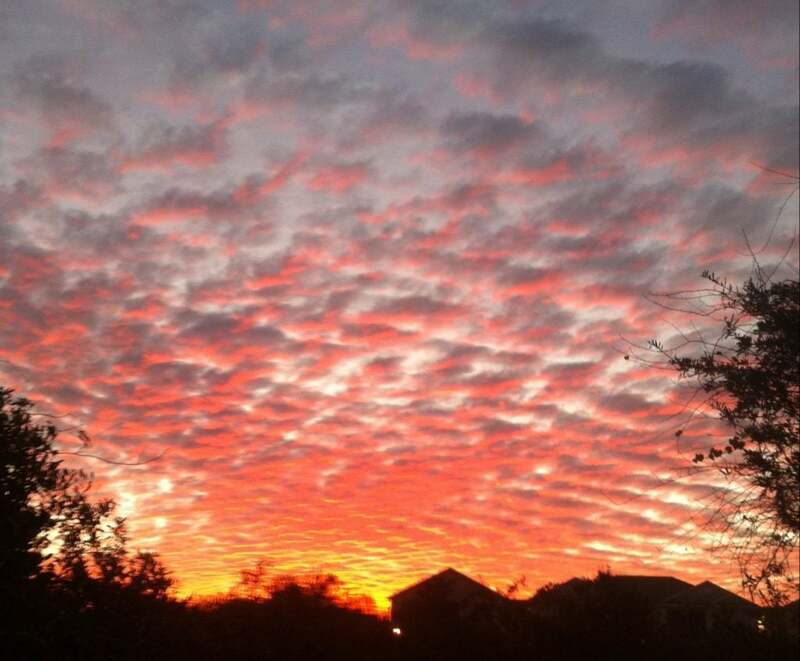 Orlando is one of Florida’s most magical destinations! It’s no wonder it’s one of the best honeymoon spots in Florida. Couples come from all over the world and USA to have their romantic getaways in Orlando Florida. 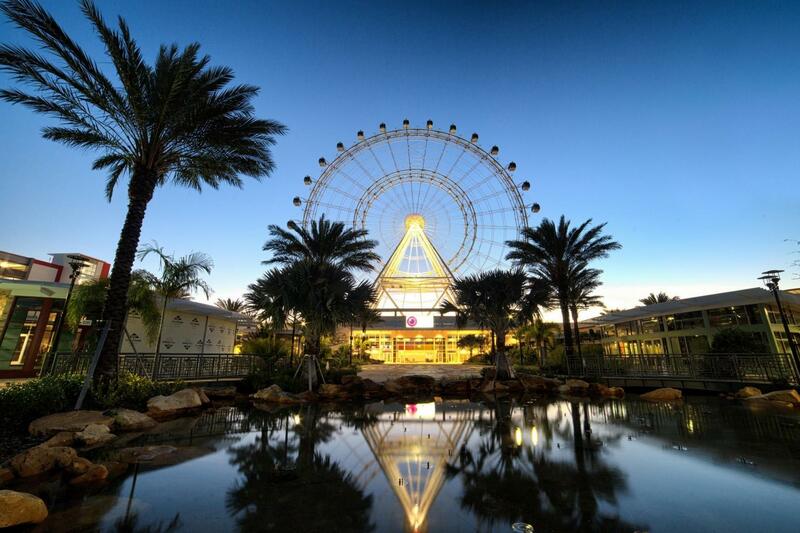 Shop till you drop at the outlet malls or enjoy the romantic hotels in Orlando FL on your Florida honeymoon. Here are some of the United States’ most sought-after theme parks. So get ready for some action-packed fun on your romantic getaways in Orlando Florida. 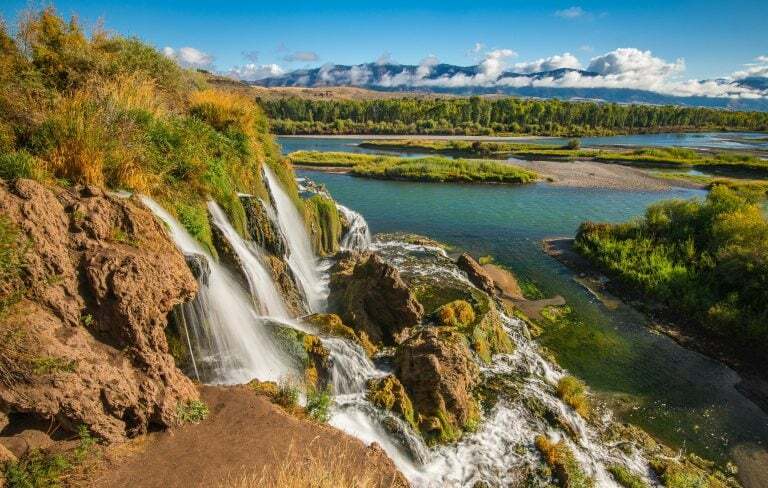 While the parks will reinvigorate you with youthful exuberance, its nearby beaches and spa resorts will lull you into relaxation and rejuvenation. Whether you want a playful day by the beach or a serene romantic escape, Orlando is the perfect romantic getaway in Florida. For one of the most breathtaking romantic getaways in Florida, wake up bright and early and hop aboard a hot air balloon. 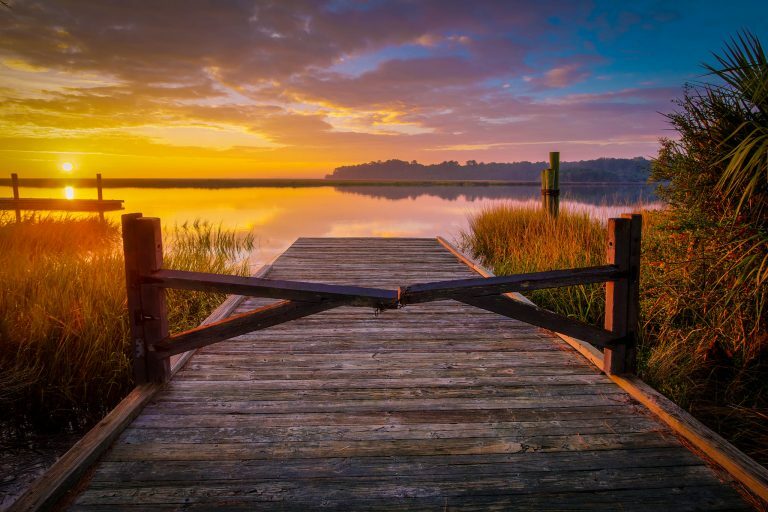 Watch the sunrise over Florida on this one hour tour. Take in the beauty of Florida’s orange groves, flowing rivers and see its attractions from above while the city still sleeps. Have this balloon ride all to yourself on your Florida honeymoon! This is one of the best romantic getaways in Orlando, Florida for couples. Discover one of the most radiant attractions on your romantic getaways in Orlando, Florida. Take a trip about an hour away from Orlando to Merritt Island. It’s one of the most romantic things to do in Orlando FL. You may have been kayaking before, but probably never like this. Away from the lights of the big city, you will see the blue glow of bioluminescence emitting from marine life in the Banana River. You will have a spectacular view of the stars above and the glitter of luminous life below. There’s nothing romantic than this across all the romantic getaways in Florida. Have you’ve ever wanted to visit the Wizarding World of Harry Potter or rub shoulders with Spiderman while enjoying a thrilling adventure of your own? Definitely check out Universal Orlando Theme Park on your Flordia honeymoon. Have the time of your life zipping through roller coasters, narrowly escaping the jaws of the T-Rex, and fighting aliens. Then “ooh” and “ahh” to some spectacular shows and enjoy a scrumptious meal. 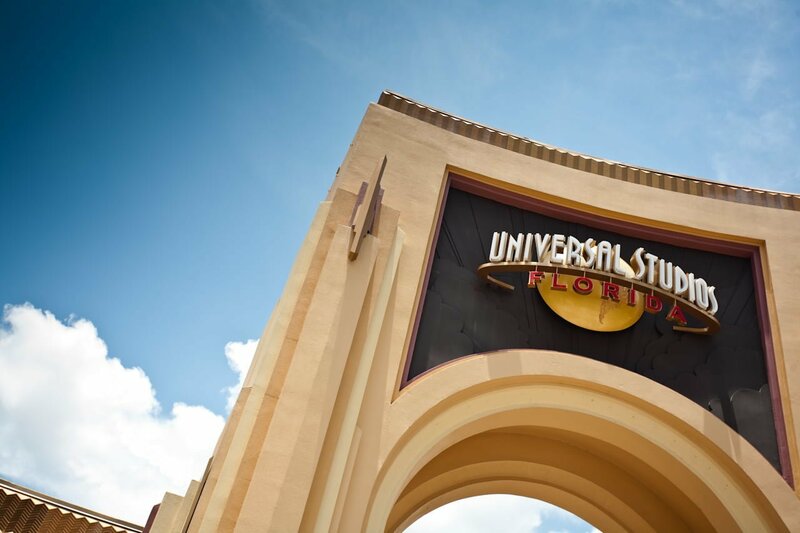 Your romantic getaways in Orlando Florida isn’t complete without visiting Universal Studios! Looking for a great place to satisfy your thirst for adventure? 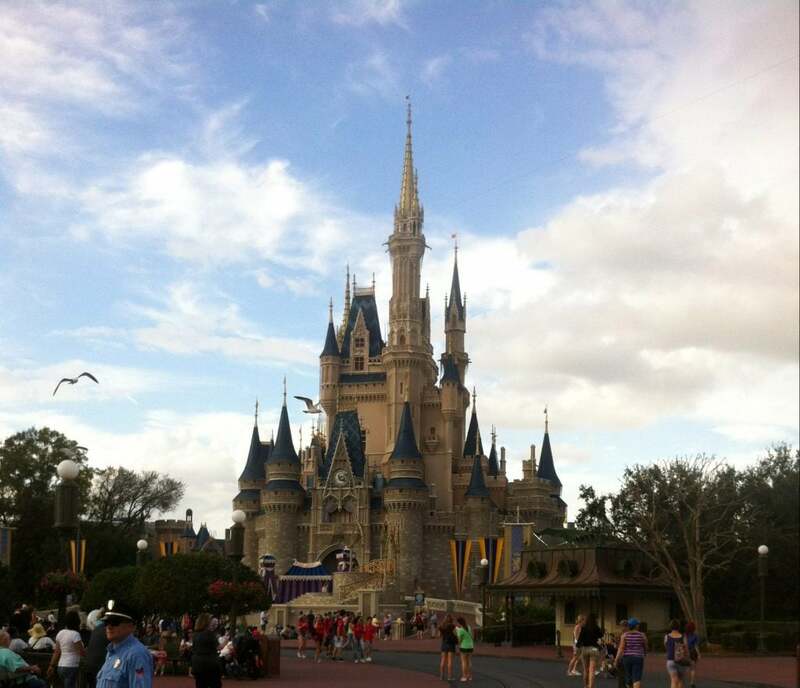 Disney World is an experience you don’t want to miss on your romantic getaways in Florida. Fly down splash mountain, but not before escaping the haunted mansion. Don’t try to duck out of the ride if you’re too scared. That elevator you were going to discretely slip into might also be haunted–if that elevator is The Tower of Terror, that is. If you are still alive at this point, maybe it would be best to relax on a slow ride like “It’s a Small World.” Or regress into your childhood fantasy of blasting asteroids with spaceship lasers on the Buzz Lightyear ride. Enjoy some of the best snacks at Disney World while you’re here, they have a deliciously enormous variety. 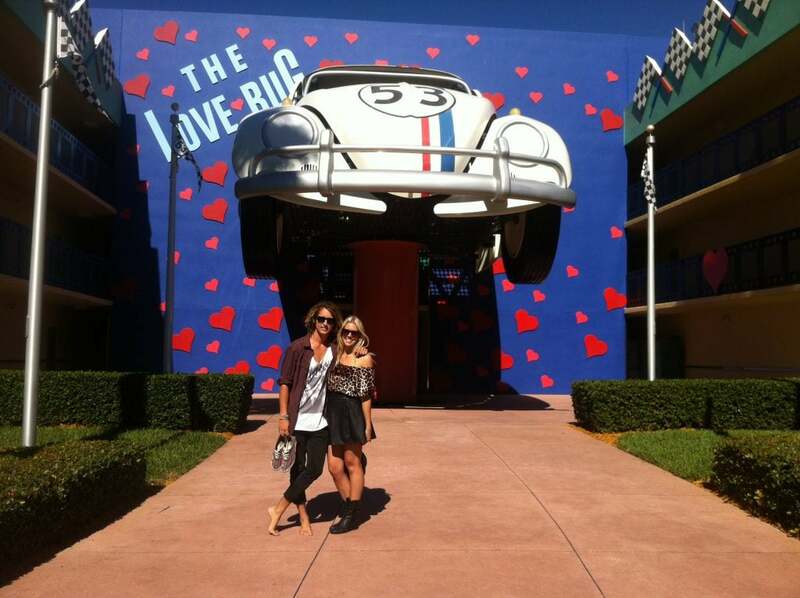 Disney World is a great place to feel like a kid again and one of the most romantic things to do in Orlando FL. Spend 3 Nights In At Westgate Lakes Orlando Resort, Plus Receive A $100 Dining Voucher, For Only $99! Did someone say award-winning spa? This Orlando resort did. Which is why the Ritz-Carlton Orlando, Grande Lakes is one of the most relaxing romantic getaways in Florida. The spa has its own garden and they even grow the herbs on site for your spa treatment. The spa even has its own cafe where you will find nothing but the most incredible foods. Or you can eat at one of the resorts many beautiful restaurants which offer a variety of dining experiences for your Florida honeymoon. Great dining aside, the rooms are elegant and modern and perfect for couples looking for the best romantic hotels in Orlando FL. You will be sure to have a refreshing stay here at one of the best spa resorts in Florida! 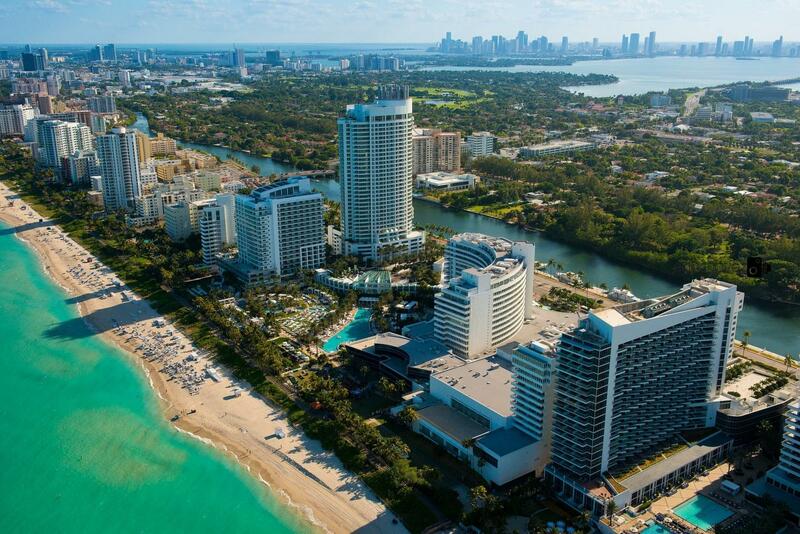 Visit Miami on your romantic getaways in South Florida! Visit some of the best honeymoon spots in Florida while you’re here. This seaside city prides itself in being clean and healthy. In fact, it is home to many major sporting events like the annual Orange Bowl Classic and Ultra Music Festival. They’re among some of the best things to do Florida for couples on their romantic weekend getaways in Florida. The nearby Key Biscayne is known as divers’ paradise and a great Florida honeymoon activity. Not only is it replete with animal life, but many ships have wrecked there. This adds up to an amazing area to explore beneath the sea on your Florida honeymon. 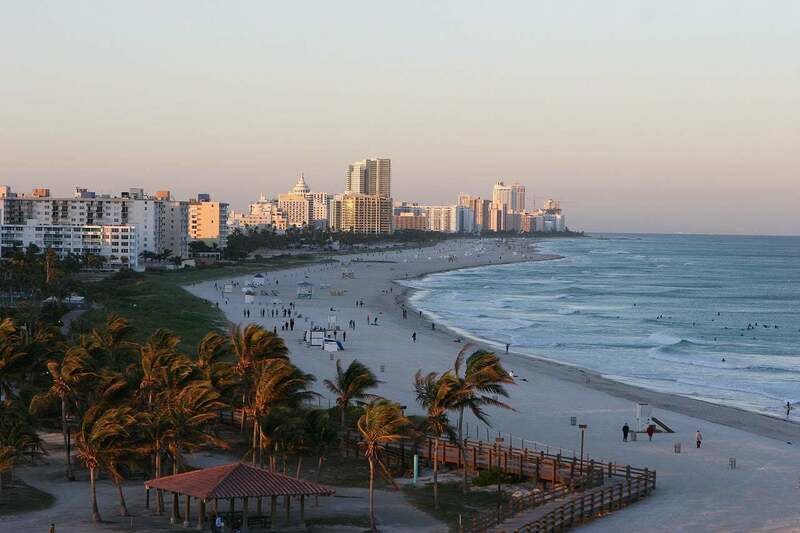 However, Miami is not just for sports and adventure enthusiasts. 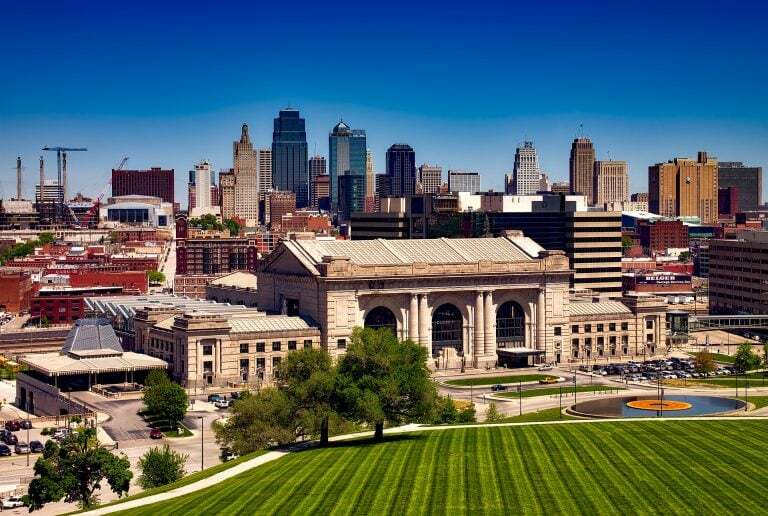 It is also a great place to explore your intellectual side with ballets, theatres and art museums. Of all the romantic getaways in Florida, Miami has something for every couple. As the sun goes down, see the ocean light up beneath you by an LED light on the bottom of your paddleboard. Accompanied by a guide, take a 90-minute tour as the sun sets over the ocean. Sunset paddleboarding is by far one of the most fun things do to do in Miami for couples. Even as it gets dark, you will be able to see down into the water. This is a nice, private romantic getaway in Florida that will put your mind at ease. So make sure you give paddleboarding a crack on your Florida honeymoon. Interested in learning about local ethnic culture and eating delicious food? Try out this food and walking tour on your Florida honeymoon. Learn all about the vibrant Cuban culture of Florida while chowing down on pastries, flan ice cream, and Cuban cuisine. You will also get a delightful taste of lively Cuban music and way of life. This is one of the tastiest romantic getaways in Florida. So if you’re searching for fun things to do in Miami for couples, check out this tour! Imagine the sun setting over the city of Miami from a cruise ship on your Florida honeymoon. Well, you don’t have to imagine anymore with this tour! Stars such as Brad Pitt and Celine Dion are said to have owned mansions on the Miami shore. 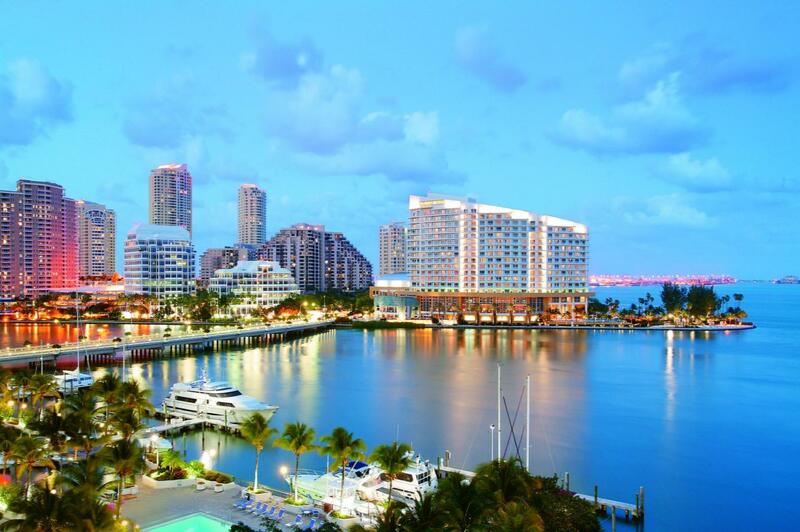 Your guide will point out your favourite celebrity mansions along Biscayne Bay. Go ahead, daydream about Celine Dion’s mansion with its own water park and the millions it sold for. No one will stop you. Or just enjoy the beautiful view as Miami drifts by. This 90-minute cruise is one of the fun things to do in Miami. So if you’re looking for a relaxing activity for your romantic weekend getaways in Florida, check out this awesome cruise. Catch a glimpse of some exotic wildlife on this safari tour of the Everglades on your Florida honeymoon. You will be greeted by the smiling teeth of alligators on your romantic getaways in Florida. Enjoy the cheerful waves as you cruise by in an airboat and pontoon when visiting the Everglades. Catch a glimpse of some amazing land animals as well such as butterflies, snakes, and bears as you hike the Everglades. At lunch you’ll be able to grab a bite to eat at the restaurant by the water. This is one of the fun things to do in Miami for couples on their Florida honeymoon! Make your tour of Miami a bit more interesting by driving around on a Segway! If you’re not familiar with Miami, this one hour tour is a fun way to become acquainted on your Florida honeymoon. See some historical sites in Miami as well as spotting some beautiful parks along the way, where you can hang out later. You’ll see large stretches of the beautiful beaches while feeling the wind in your face, making this a pleasant tour indeed. 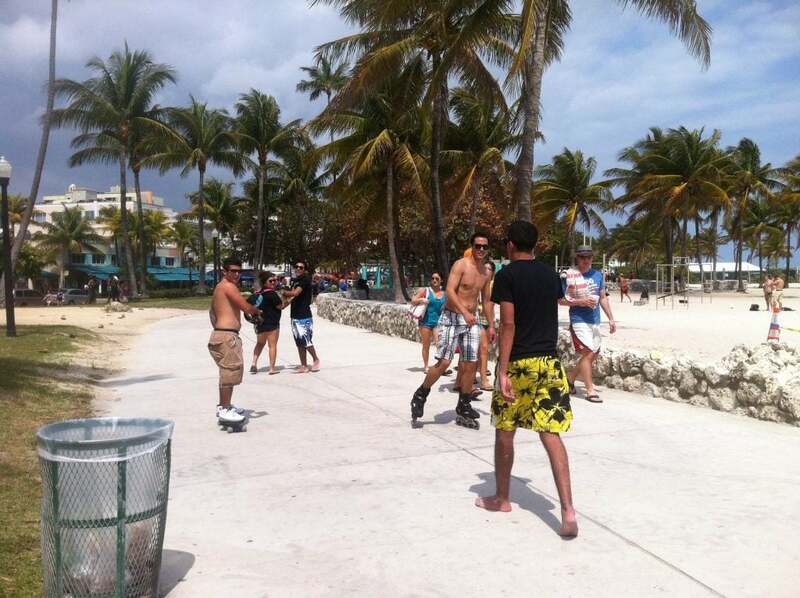 Be sure to take a segway tour of Miami on your romantic getaways in Florida! With a relaxing, yet urban, zen vibe, the Mandarin Oriental is the perfect place to forget your worries on your Florida honeymoon. They have an infinity edge pool, a spa, and beautiful views of the city along the ocean. You’ll find a number of dining options including La Mar, which features delicious Peruvian cuisine. They also have bars as well as a more laid back cafe where you can munch on sandwiches and salads. You and your sweetheart will surely have a comfortable stay at one of the best honeymoon hotels in Miami. Here you can enjoy one of the most refreshing romantic getaways in Florida. No destination in Florida is more romantic than the Florida Keys. This is one of the best honeymoon spots in Florida! 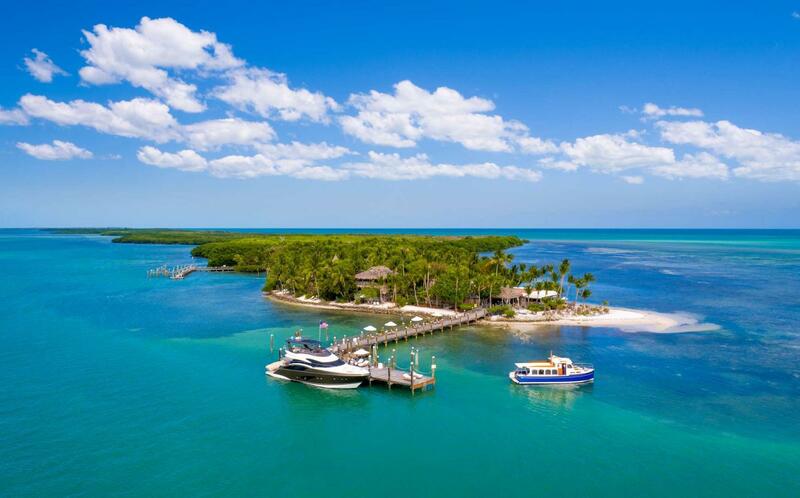 There are a remarkable 1,700 islands in the Florida Keys. Home to a plethora of marine life and one of the largest coral reefs in the world. If you’re on a road trip from Miami to Key West make sure you stop at all the epic attractions along the way! It’s no wonder so many couples choose to have a romantic getaway – Florida Keys. Key Largo is considered the diving capital of the world! So be sure to give it a try on your romantic getaways in Florida. All habitable islands are peppered with honeymoon hotels and the best all inclusive resorts in Florida. Truly, none of the romantic getaways in Florida compares to the Keys. Make sure you head to the Keys for your Florida honeymoon! Spend your romantic getaways in Florida enjoying some of the best things to do in Florida Keys. 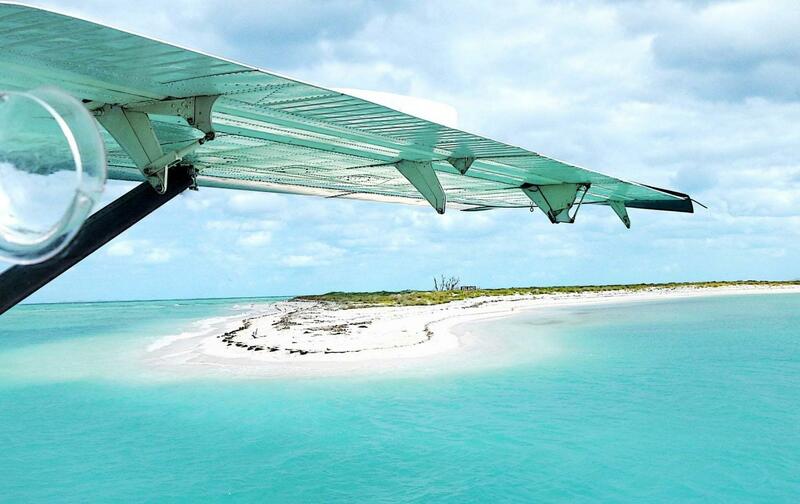 Visit the Keys and then return to Miami with this seaplane flight. See a breathtaking view of the Florida Keys from miles above on your Florida honeymoon. You’ll take off from the water of Key Biscayne and land in the water near Islamorada. Key Biscayne is one of the best honeymoon spots in Florida! There, you’ll enjoy lunch at Lorelei Cabana Bar and Restaurant. This cafe is located right on the water. Try the tropical coconut shrimp or savor Lorelei’s world famous fish sandwich. This sandwich features the catch of the day freshly grilled, fried, or blackened. Don’t forget to order the bistro chocolate fudge cake for dessert. This is a great choice for a Florida honeymoon date or romantic getaway – Florida Keys. Take a snorkelling tour on your romantic getaway – Florida Keys. Go swimming with the tropical fish at some of the best beaches in Florida. This tour is for all skill levels and will teach you how to snorkel along the way. You’ll see beautiful sea creatures including rainbow parrot fish, turtles, dolphins, and manatees. Not to mention all the amazing aquatic plant life you’ll see too. To complete your romantic getaways in Florida experience, snorkelling is a must. If snorkelling alone doesn’t do it for you, try the Ultimate Adventure Tour. It’s by far one of the best things to do in Florida Keys. You will be served an amazing breakfast of fresh fruit and danishes. Later in the day enjoy a buffet lunch on board a catamaran boat. 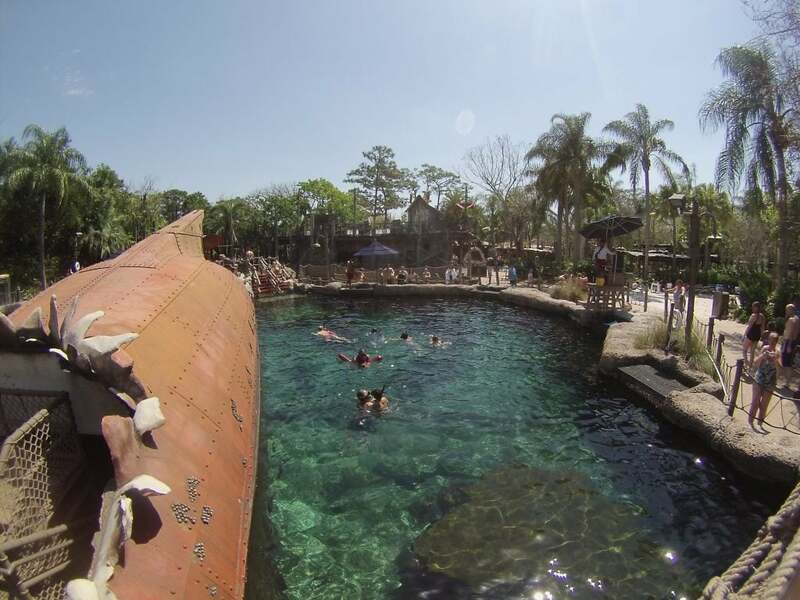 Hop off the boat to snorkel the coral reefs or relax on deck in a bath of golden Florida sunshine. At the end of it all, you can parasail, jet ski, or play on some epic water equipment like the Iceberg Climbing Wall. This is a fun and exciting set of activities for your romantic getaway Florida Keys and a great way to build lasting memories. Watch the sunset while dancing to live music atop this Catamaran. Taste delicious appetizers and drinks as you soak in the beauty of the Keys. Enjoy a slow night on the water with your lover on your Florida honeymoon. It’s one of the best things to do in Florida Keys for couples! Let your worries melt away and enjoy your magical Florida honeymoon. Key West has a wonderful hop-on-hop-off trolley tour, so you can explore without tired feet. The trolley makes 12 stops and travels the entire city. A guide will answer any questions you may have about the area and point out places of interest. If it’s not too crowded, this is a great way to get around and explore Key West. If you’ree searching for the best things to do in Florida Keys, this is an awesome day trip. 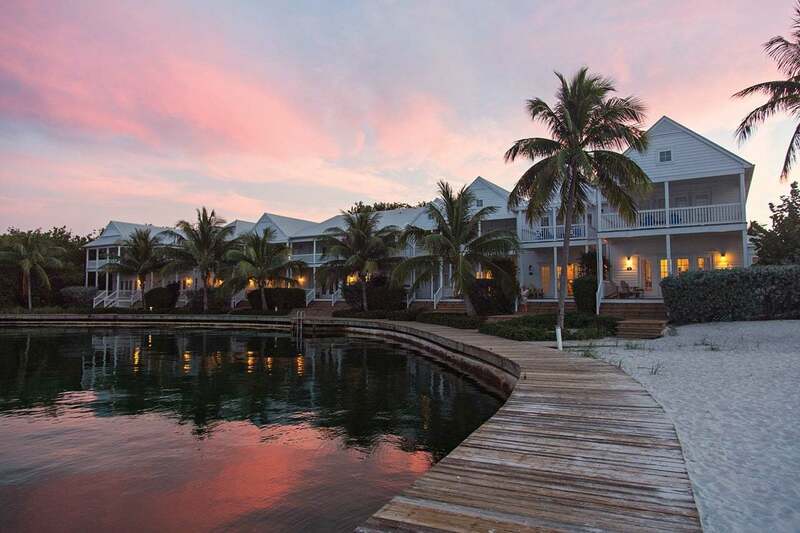 This resort is a gorgeous, private, island getaway in Little Torch Key, Florida. Little Palm Island Resort and Spa is award winning and one of the best places to stay for your romantic getaways in Florida. Canopies drape over beds in private bungalows with thatched roofs. A private outdoor bamboo shower surrounded by beautiful foliage is right outside your door. The romance suite even has its own hot tub, perfect for couples on a Florida honeymoon! There is beautiful outdoor dining with ocean stretching as far as you can see. They even offer a dinner for two on the beach with tiki torches. If you’re looking for the best honeymoon resorts in Florida, this place is perfect! It’s no wonder this place is dubbed the best spa resorts in Florida and it’s right on the Florida Keys. The Sunset Key Cottages are one of the best honeymoon resorts in Florida. The cottages are cheery and beautiful with vibrant blue accents against white walls. You can sit out on a private veranda and eat a scrumptious breakfast that is delivered right to your room. If you hear the ice cream man drive by on his conch cruiser bike, run out like a kid and grab yourself a treat of chocolate gelato. Or experience some fine dining at the on-site restaurant, Latitudes. This restaurant has a large floor to ceiling windows that overlook the ocean. So you can enjoy a scenic view while dining on your Florida honeymoon. Their spa is fantastic, even offering massages right on the beach. This is definitely one of the best honeymoon resorts in Florida for your romantic getaways in Florida. Bright red umbrellas and luxurious chairs dot the lawn of this beautiful five-star resort. There are also plenty of swimming options for couples enjoying a romantic getaway in Florida. Enjoy an adults-only pool or a beautiful spa with its own private plunge pool. At Acqualina, not only do they excel at making you feel awesome, they rock at making you even more awesome than you already are. You can take scuba classes, painting classes, learn from a makeup artist, or exercise with a personal trainer. 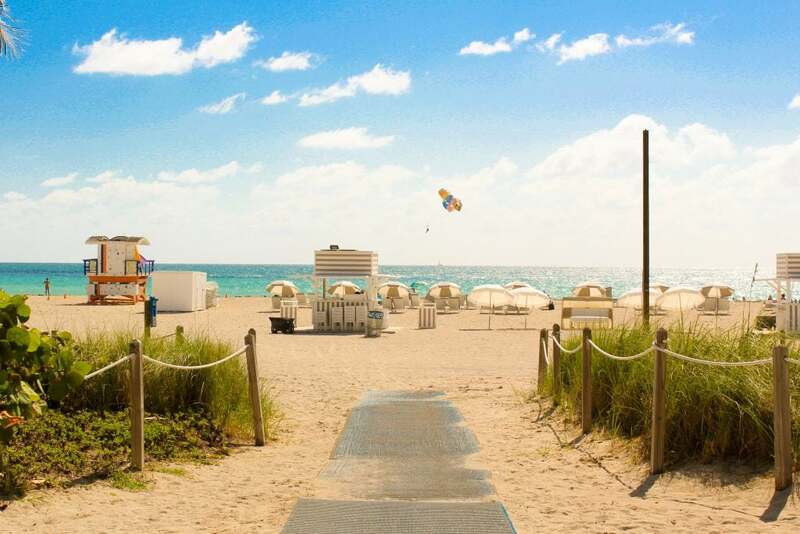 Acqualina Resort is certainly a romantic Florida beach resort you will enjoy. The Ocean Key Resort and Spa is an award-winning resort and one of the best spa resorts in Florida. It is located right along the beach so you can wake each morning to the rhythmic sound of the waves. Even the swimming pool has a stunning view of the ocean. It’s the place to celebrate your Florida honeymoon. Every day there is a Sunset Celebration on Sunset Pier. You can dance the night away by the sea to live music with your lover. This is possibly the most festive of your romantic getaways in Florida. The Key Largo Bay Marriott Beach Resort is one of the best all inclusive resort: Florida Keys. Enjoy sunbathing or jumping off a raft into the ocean on your own private beach! When you’ve had your fun, chow down on an all American breakfast buffet next to a gorgeous ocean view. For dinner, gobble up a tasty grilled fish sandwich, some firecracker shrimp, or lobster bisque on your Florida honeymoon. In addition to great food, they offer a variety of fun activities such as snorkelling, volleyball, kayaking, and even some good old-fashioned table tennis. The spa is there for you when you’re ready to wind down. This is a wonderful all inclusive resort Florida Keys. Couples on their romantic getaways in Florida will love this special beach resort! You’ll be sure to have a great stay at this next hotel choice for romantic getaways in Florida. The Pier House Resort and Spa is yet another fantastic all inclusive resorts in Florida. Here they’re sophisticated and tech-savvy, they even allow you to use your smartphone as your room key. Amenities include a lovely heated outdoor pool and a luxurious spa. It’s a perfect place to stay for couples on their Florida honeymoon. There are a ton of activities and things to do nearby including powerboat races and Key West Lobsterfest. This is a happening and romantic Florida beach resort. The Fort Lauderdale Marriott Harbor Beach Resort and Spa has private beaches, a tennis court, and an ocean view from your balcony. If you like the feel of clean sheets and sheer white curtains blowing in the ocean breeze, these rooms are perfect for you. This is one of the only places that offers a private, barefoot, four-course dinner on the beach to watch the sunset. Enjoy dinner on the beach near a bonfire, with musicians playing, or even enjoy sand sculptures and glow-in-the-dark sand paintings. With excellent spa services and plenty of dining options, you will be sure to enjoy your romantic getaways in Florida here. It’s another great option for spa resorts in Florida. 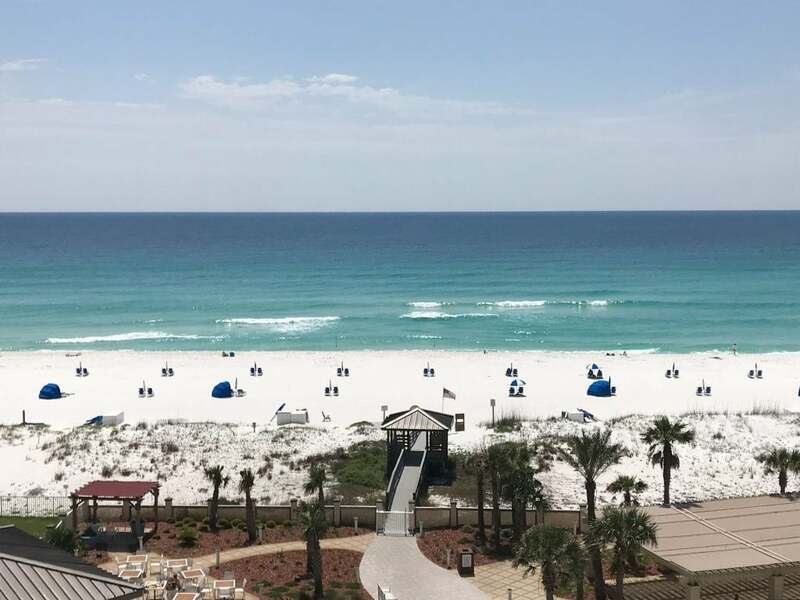 Claiming to be “the most romantic inn in North America,” the Henderson Park Inn is certainly one of the most romantic getaways in Destin, Florida. This resort definitely does charm, which is why it’s one of the best honeymoon resorts in Florida. Eat fresh seafood at the Beach Walk Cafe or buy a private dining package on the beach for two. Guests have access to a fitness centre and spa on your Florida honeymoon. Their services are exclusive only to adults 25 years and older, which is why it’s one of the best adult only hotels in Florida. You are sure to enjoy grown-up time all to yourself while not having to do one bit of adulting. This makes one of the best places to stay for your romantic getaways in Florida. This cigar factory turned boutique bed and breakfast is said to be designed by world-renowned artists. Simonton Court Hotel Key West provides beautiful gardens and a free continental breakfast. It’s no surprise that it’s one of the best adult only hotels in Florida! They have a concierge service so you can find all the most romantic activities to do nearby. Whether you want to experience the nightlife, go on a snorkelling adventure, or relax at the spa, they’ll help find out how to get the most out of your getaway. This is a Florida Keys all inclusive resorts adults only that you are going to love. Another great choice for Florida Keys all inclusive resorts adults only, this is classy place. Southernmost Beach Resort has beautiful high ceiling bedrooms, some with hardwood floors, some surrounded by views of the ocean. Tropical flowers out your window make the palms and sea even more vibrant. There are a ton of places to relax with breathtaking views of the ocean. Piers lined with beach chairs stretch out into the sea. Relax in brightly coloured hammocks hanging between the palms by the sea. Eat some conch fritters at the cafe or chill out by the pool at the Pineapple Bar. This is a great pick for your .romantic getaways in Florida and one of the best adult only hotels in Florida. For about $100 per night, you can enjoy a stay at the beautiful four-star Gates Hotel Key West. The rooms have a clean and casual modern feel for maximum relaxation. For any meal of the day, The Blind Pig is a parked food truck for outdoor eating. It serves things like sandwiches, salads, and “cupcake sushi.” They also have an on-site bar, Rum Row. A complimentary shuttle service is provided and they even offer a romantic sunset cruise. This is one of the best cheap romantic getaways in Florida, for couples on their budget Florida honeymoon. The Best Western in Florida City is an affordable Florida honeymoon accommodation option. Starting from $130 a night, you’re bound to get the most bang for your buck on your romantic getaways in Florida. It’s great for couples enjoying romantic getaways in Florida, especially when you’re on a budget. The Best Western has attractive decor, plenty of palm trees, and calming sea-inspired wall hangings. There is a pool, hot tub, and lounge area outside for you to enjoy. Simple and inexpensive, this hotel is a great choice for your romantic getaways in Florida. This casual, friendly hideaway offers American BBQ by the sea. Captain Pip’s is a great place to stay in the Florida Keys for upwards of $80. Especially if you love to fish. They offer boat rentals for amazing, private fishing expeditions along the Keys. Enjoy fun things to do in Florida like snorkelling, kayaking, and bike rental for even more adventures. Their rooms aren’t extravagant, but they’re clean and comfy and many of their rooms have hardwood floors. This is a perfect choice for one of your inexpensive romantic weekend getaways in Florida. No matter your budget or honeymoon preference, there’s accommodation perfect for your Florida honeymoon. Airbnb is also big here; you can find some awesome accommodation options for your Florida honeymoon, here’s $35 free credit. If you want to save on the best honeymoon resorts in Florida, here is $20 AUD off your next hotel with booking.com. 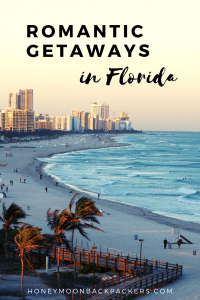 You’d rather not think about all of the things that might go wrong on your romantic getaways in Florida, but these things can and do happen. We like to think of travel insurance as a safety net, as it’s saved our butts big time on more than one occasion. We had our bags stolen, with passports, cameras and a decent chunk of money, and thanks to travel insurance we were able to replace these valuable items. I fell ill on our honeymoon and had to spend a week in the hospital, which racked up a huge debt. Without travel insurance, we would have been in thousands of dollars of debt. It’s not worth the risk to travel without insurance! Keep your mind of ease on your Florida honeymoon by travelling smarter and safer with World Nomads travel insurance. These guys are the best in the business with affordable coverage for you and your lover on your Florida honeymoon travels. Before booking your Florida honeymoon make sure that your visa is sorted and approved. We always organise our visas through Visa HQ. They’re a reputable company that arranges visas for the vast majority of nationalities. No matter your nationality or travel location, Visa HQ will sort you out! Spend your romantic getaways in Florida enjoying an oasis of white sandy beaches and vivid ocean sunset. Florida is a truly romantic place to enjoy time away with your sweetheart on your Florida honeymoon. If you are looking for a place with plenty of sunshine and tourist attractions, you will love Florida. 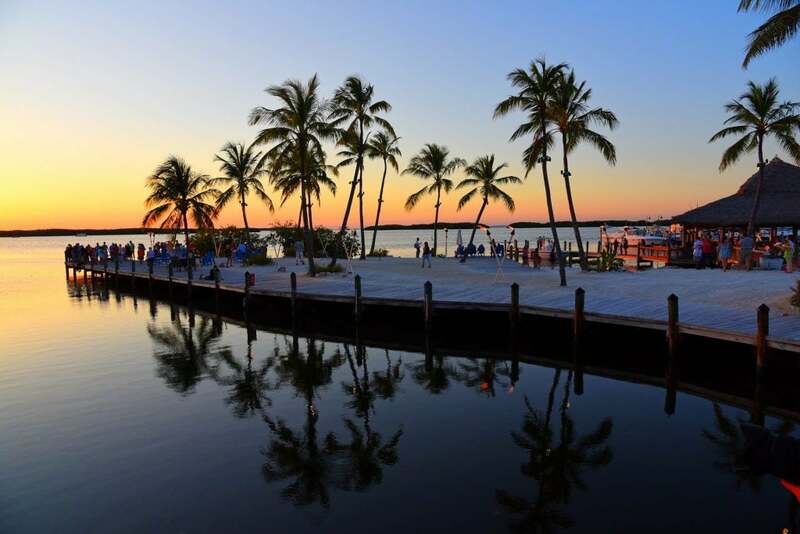 Whether you’re there for the nightlife, key largo restaurants, the entertainment, the abundant nature, or just for the great weather, there’s something for everyone in Florida.